This may hold true for flowers but when it comes to naming your business a bit more consideration needs to take place. It may be one of the most important decisions you make when you decide to start your company. Therefore, it is important to give it due consideration. 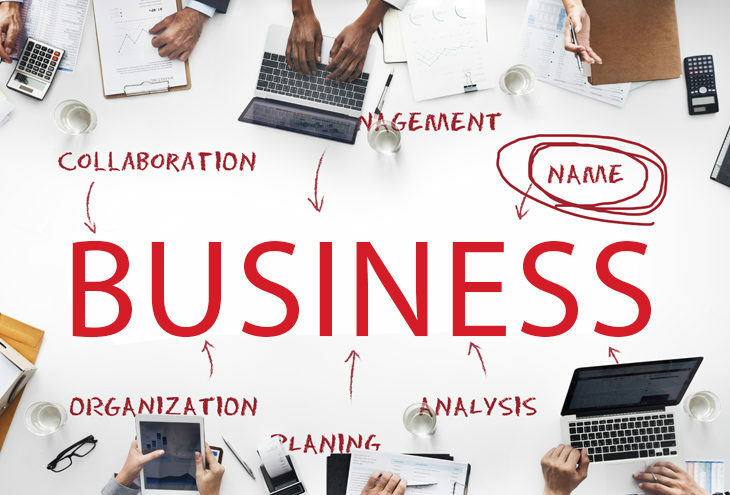 When deciding on the name of your business, it is important to make a list of keywords which highlight what your business does and the values which you wish to have in your business. You can then try to mix and match the words to see which ones work for you or use an online business name generator. If you use a business name generator, try to pick the five of the best options before you move on to the next step. The name should be no more than two syllables and easy to spell. Try to stay away from unique spellings. It is also important that should you choose to use a made-up or foreign word that it doesn’t have negative connotations in a different language. When choosing a name try to also ensure that there is one hard consonant sound in it and it is easy to pronounce. It is important that the name is unique but also reflects what you do as a business. You don’t want to have to explain or apologise for the name you choose as this could affect your credibility. It is important to test the name by asking the opinion from the market you wish to enter, family, and friends. You may also need to research the name on the web to make sure that the domain doesn’t already exist. You can also make mock-up websites and see which one gets the most hits before you settle on a new name. By doing this, you will be able to judge which name your audience prefers and thereby get the best name for your company. As this is one of the most important decision you will be making for your business try not to rush it. It can take up to six months to choose the best name for venture. You can still work on the other aspects of your business as you settle on the name for your business. When you choose your name try not to limit it to one thing that your business does as this may hinder the growth potential of your business. You want a name which your business can grow into rather than one which will need to be changed once your brand outgrows it. It is also important to think carefully about naming the brand after yourself. The reason for this is that should you wish to sell it at a future date, it may be difficult to sell and you will be selling your identity to someone else. Furthermore, should your business be named after yourself, people may think that you are a one-man show and may not be able to handle the workload that they have to offer you. Go out and find that unique, awesome name for your next venture that will having people twitter and posting about what a great product or service you have to offer.